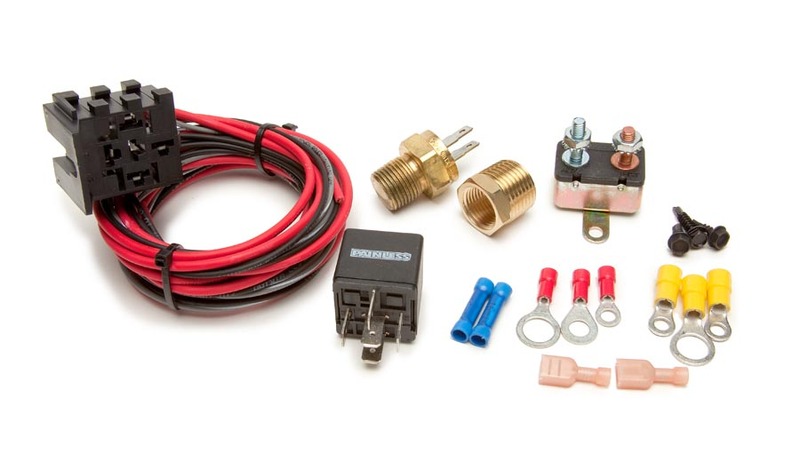 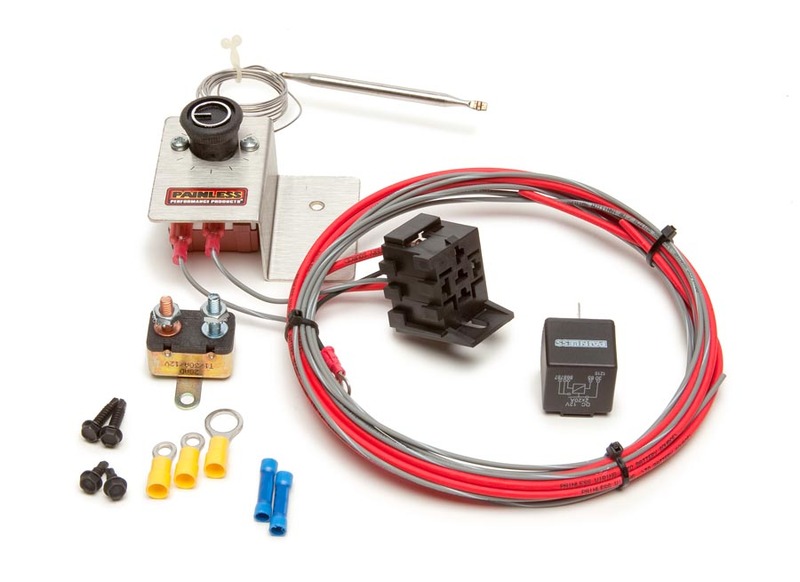 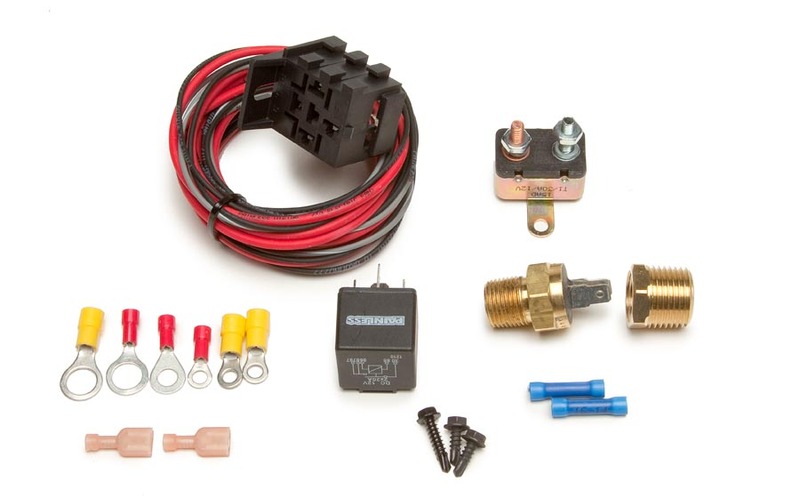 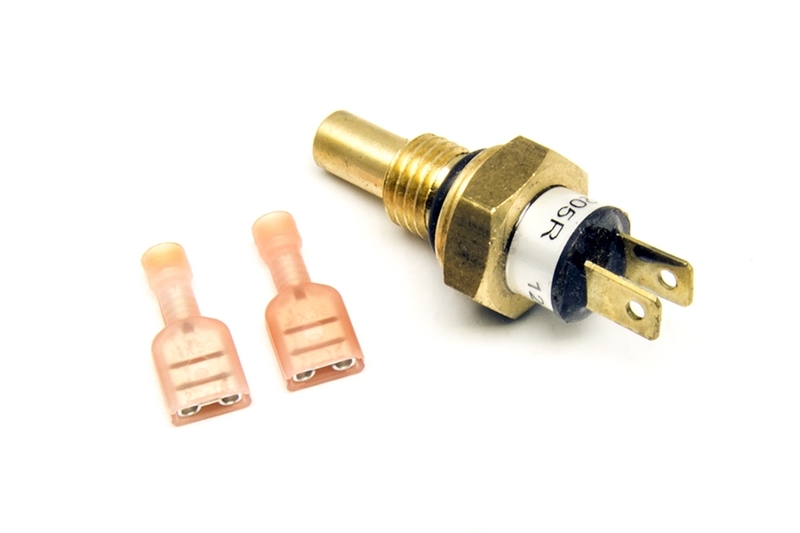 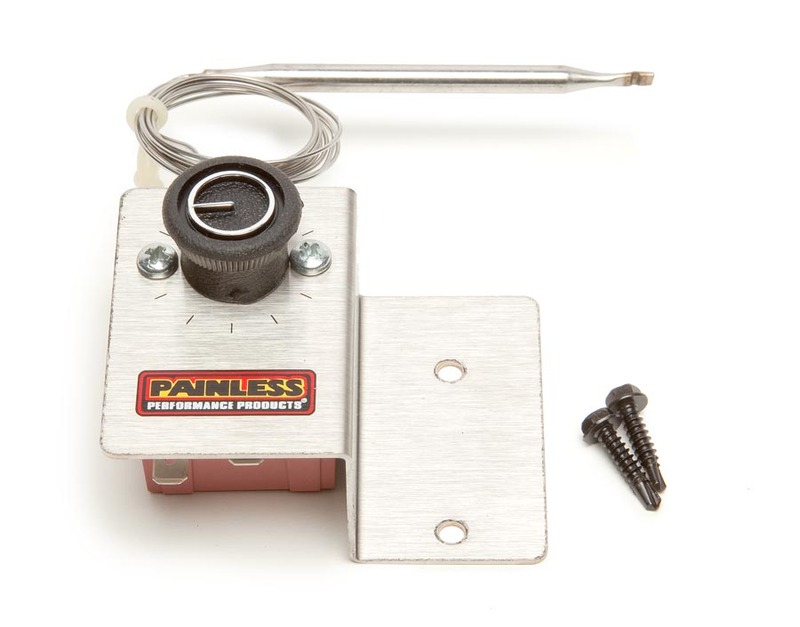 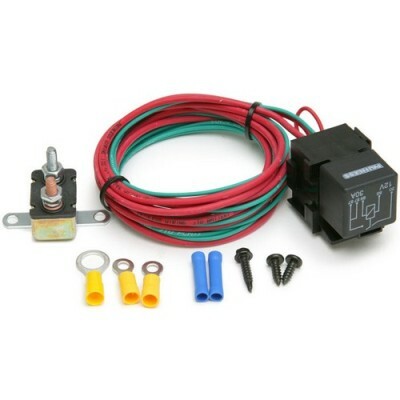 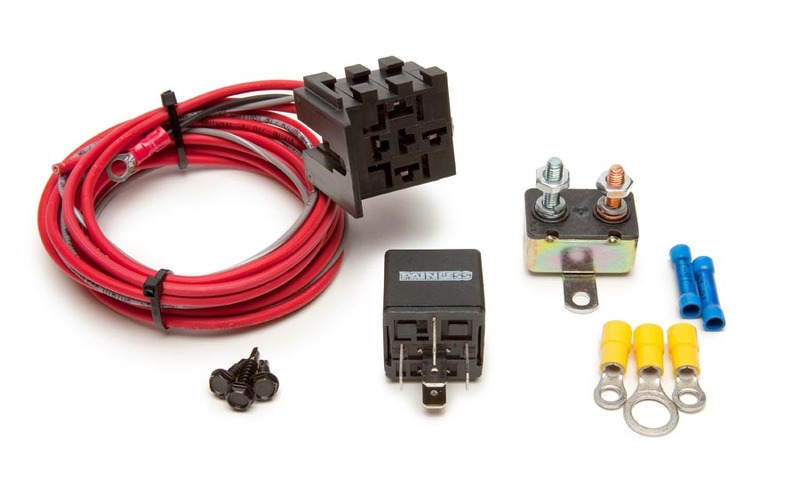 This Fan-Thom II kit comes with a threaded thermostat that screws into the engine block or intake manifold for a professional looking installation. 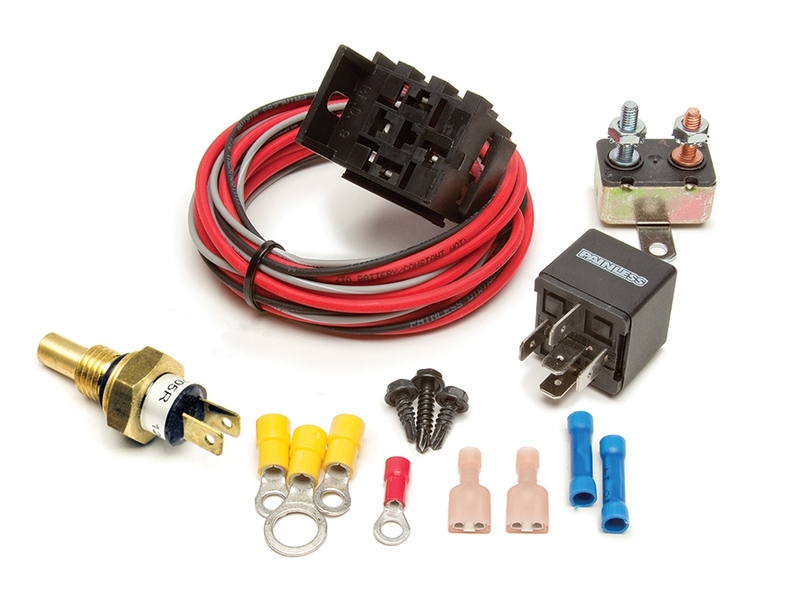 This is inexpensive protection for an electric fan and a vehicle's wire harness. 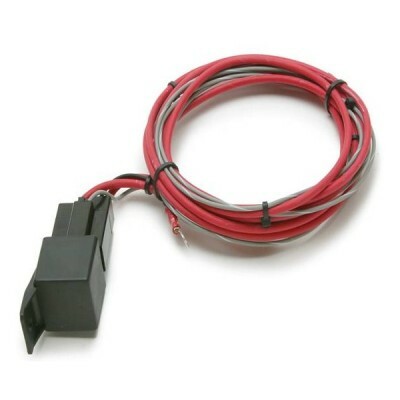 Provides constant voltage, protects from voltage and amperage spikes and prevents the fan from back feeding voltage through the vehicle's wire harness.